Miranda had agreed to come round to Declan’s for dinner because she couldn’t think of anything better to do. Miranda and Declan worked at the same school, she taught French and Home Economics, he taught Science and P.E. The staff room rap was that Declan was a bit of a sleaze and that he tried to seduce women with Burgundy, Bolero and badly cooked chicken, in a botch of a sauce. By all accounts he assumed that both he and the chicken were Supreme. Miranda wanted to be the judge of his culinary skills and whatever else was on offer. She was bored, she supposed, like her teenage students. Whatever. Miranda had a pile of French comprehension marking to get through. She pictured herself at a table with a conciliatory desk lamp at 3am making furious red pen markings after extricating herself from….well all was still imagination… but some late night liaison with a man with all the necessary parts in working order. She had appetites. She would come out from a day of teaching sewing, one carefully arranged hand stitch after another and feel the urge to rip her clothes at the seams and roll naked over the bonnet of the headmaster’s car. Or after a period of pummelling and kneading dough she would imagine the meat of a man’s solid flesh under her fingers or between her… well you couldn’t think about that on the way back to the staff room, as you went down the corridor with lines of transitory school kids keeping left by the wall. It was all she could do not to leg it past them and give a whoop, fist thrust into the air. But she put her passion into French class, in the intense articulation of those rolling rs, in the low round baritone of her accent, an echo of a Seine-side stroll or the dark cavern of the Moulin Rouge. Declan’s flat was dim when she arrived, it was late October and the relief of the mid-term break was looming. He played the Bolero on a scratchy 45 – the real deal. The only bolero she understood was a short jacket with long sleeves that went over the top of other things. Also known as a shrug. And a shrug was an indispensable part of her non-verbal wardrobe. She used it when he asked if she liked his flat, although she nodded when he offered wine. The decor had an 80’s theme, predominantly black and white with red splashes. His was a world of dimmer switches and frothy cappuccino makers. She expected to find a Knight Rider poster on the back of the bathroom door when she popped in. When she re-emerged he perpetuated rumours of Baked Alaska for later so that was the melting taken care of. Now it was time for dripping and dipping with skewers, there were some assorted raw vegetables and a gloopy cheese sauce. Cheesy. He grinned and raised the Burgundy. Miranda feared for the evening. She didn’t like the way he fondled his fondue. Later he modelled himself on that experimental chef Heston Blumenthal and blew up a quails egg by torching it en situ. She gave him marks for inventiveness but none for technique. The egg reminded her by association of ‘Bird’s nest soup’, a Chinese delicacy she’d seen a programme on recently. It was made out of nests that were built out of saliva by cave swiftlet’s during the breeding season. The soup was said to be an aid to digestion. Perhaps it would help him swallow the bile of his arduous and unremitting indenture in the teaching of 12 to 18 year olds the beauty of Bunsen burners and somersaults. Bird’s nests were also beneficial to the libido. They ate the Chicken Supreme, more gloop this time flavoured with tarragon. He knew his herbs. He played the Bolero again. She told him it was by a French composer, Ravel. ‘I know’ he said and his irises displayed a flicker of wit. Two bottles of Burgundy later they sat on the floor in front of the sofa. He confided his desires. ‘I always wanted to be a Home Economics teacher’ he said, ‘But I didn’t have the nerve, so I ended up in Chemistry and Physical Education’. They could never afford it on a teacher’s salary. They talked into the night and the pile of marking at home on Miranda’s desk, shifted and settled. Declan and Miranda discovered a shared admiration of Christopher Reeve and a pathos for the irony of his demise against the glory of Superman. But they had both enjoyed Somewhere in Time, his gentle time travel movie with Jane Seymour, although the theme tune was Rachmaninov rather than Ravel. Miranda rolled the ‘r’s on her tongue. And when she was done, Declan kissed her and it was very good. She put her hand on his shoulder; he placed his on the small of her back. They ate the baked Alaska in bed. They might build a nest yet and feather it with staff room anecdotes and culinary conundrums. In her back garden she’d seen a nest torn apart in the night by ravens. But Declan tasted of Burgundy and the Bolero on perpetual replay in the sitting room was heading to a crescendo. He stopped kissing, leaned back a little, looked into her face and smiled. Gosh, Miranda thought, there’s just one thing, chicken shouldn’t go with Burgundy. She opened her mouth to tell him but he sealed her gastronomic quibbles with the most ravenous of kisses. Did it really matter? If she could convince him to forgo the fondue, anything was possible. 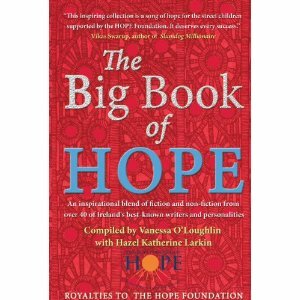 I recently was invited to the launch of The Big Book of Hope in Dublin. The book was the brainchild of Hazel Larkin and was championed by Vanessa O’ Loughlin. Together they amassed a group of writers, public figures and celebrities who contributed fiction, memoir and non-fiction pieces to this large volume of 448 pages. 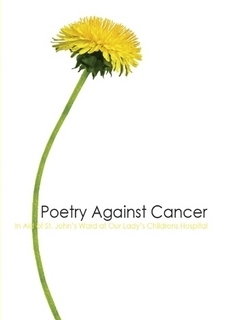 The aim of the book is to raise money for the Hope Foundation to ‘save lives’. The Hope Foundation works to give street children in Kolkata – formerly known as Calcutta, a glimmer of hope. Projects include ‘shelter, healthcare, education, vocational training, child protection, anti-trafficking, anti-child labour and child’s right advocacy.’ Compared to our own children, these children have nothing, they cling to survival by the merest of threads. The proceeds of this book will go directly into the projects that can save lives. Please buy one, or more to make a difference to these children. With over 30 well known contributors and a range of styles and stories it is worth every penny and a hundred fold if it helps to bring hope to children through the Hope Foundation. I should probably announce that I received heartwarming news recently that I have had two stories ‘All that thinking’ and ‘Filch’ longlisted in the prestigious Sean O’ Faolain prize. 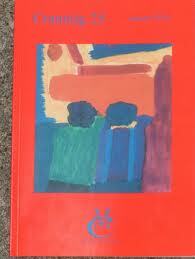 This is an international prize run by Munster Lit Writers Centre who publish the Literary magazine Southword. 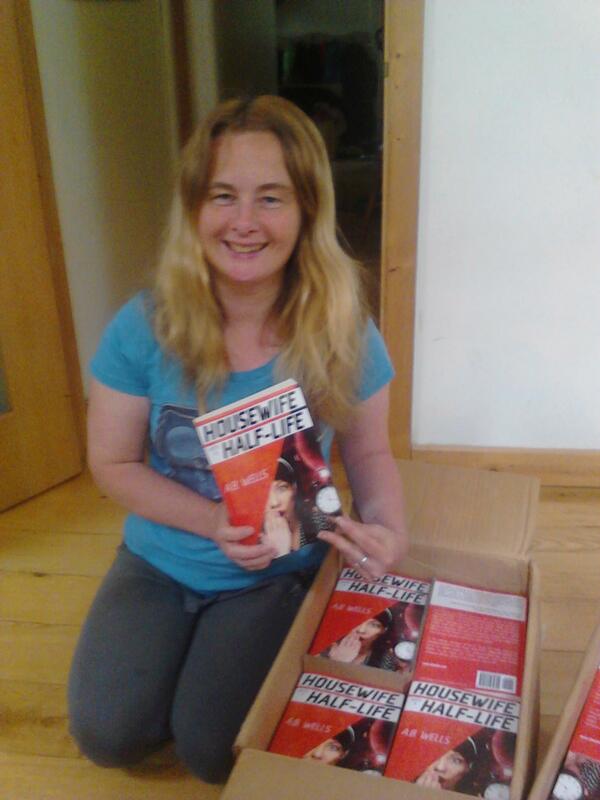 Particularly chuffed because the longlist wasn’t particularly long! Full details of the winners, shortlistees (among whom is one of my dear online friends Claire King) and longlistees on Tania Hershman’s (judge) website. I have also been accepted in the Irish Literary magazine Crannog and hope to read my story ‘Unwritten’ at the launch in Galway on the 22nd October. Also check out the ‘WOW’ writers competition closing shortly. I was shortlisted and appeared in the WOW anthology last year published by Words on the Street. She woke to the sound of the monsoon drumbeat and all she could think was ‘my sheets!’ She had left them on the washing line all night. She had stepped out into the garden before going to bed and the air was so starched linen clean that she’d stopped – the dusk against her cheeks – and taken in a cool breath. She had spoken aloud ‘They will be alright’. The stars winked. When she went back into the kitchen the milk was still left out on the table, the butter unlidded, knives and forks at cross purposes, splotches of Rorschach sauce across the tablecloth in which she saw an octopus. The tarot of her son’s collector cards scattered on the floor told her that there would be an arduous task ahead but that she would triumph over adversity. In the bedroom her husband slept open mouthed, agog at his dreams. A fly buzzed against the side lamp, sleazily addicted to light. He rose and hovered over her husband’s face and oh, she feared for him. She made a SWAT team out of the many facets of her love. But she couldn’t stand his snoring. When she knew he was safe, she went to sleep in the spare room. There was a ‘less-of-the-old!’ woman who lived on a shoestring budget and had so many children that she had a difficult time fitting in all the lunchmaking, drop offs, pickups, activities, homework, bedtime routines, behaviour management with the requisite reward and sticker charts, naughty steps, timeout, privilege curtailment, grounding, not to mention all the cajoling, counselling, clothing and the cooking of large tender casseroles and quantities of broth and porridge. How she longed for a magic porridge pot that would continue cooking until the town was filled up and people could only trudge in its gloop instead of racing about trying to get places, get ahead of themselves so they could see their space-time anomalies coming back richer, happier, more productive. And the children. There was so much hothousing going on that many of the children she saw these days were round and redfaced like tomatoes, ready to split at any minute. She unwrapped her Mummy self from the sheets in the spare room and went to bathe in clamour. Her handbag was heavy with undertakings. Lists that sucked the life out. They had played games with ropes that she could always get out of, spies and hostages, nothing sinister. They walked across the tops of gates and never fell off. She liked the adventures best. ‘Many of the men I know are former boys’ she thought as she pulled up at Tescos. At the trolley bay she grabbed a man walking past with his jiggly fizzy toddler, kissed him on the mouth. She got the taste of the cheese and onion crisps that he was sharing with his son. They had always been her favourite as a child. Later she had switched to salt and vinegar. The man was scratching his almost bald head. ‘You’re lovely but it’s nothing personal’ she said. She pictured him walking across the top of a gate. The toddler laughed warily. She went inside to do the supermarket shop. This relates to a previous flash Close Encounters with Goldfish. 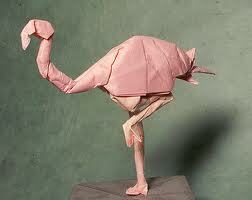 That’s the trouble with origami flamingos, they crumple under duress. Exotic-pathetic. I needed something with a little more resilience, like the steel ties you put inside hardening concrete. ‘Pipe cleaners’ said my nephew Gary. ‘Good idea’ I said, thinking somehow of Dali’s elephants. There was the same sense of melancholy, loneliness. I wasn’t the sort of man who jollied things along. ‘What do you want to be when you grow up?’ I said by way of inane conversation. ‘Harry Potter’ said Gary, pleased. ‘NOT Voldemort – but’, he mumbled, ‘you’re not really supposed to say his name’. The same way we’re not to mention his Dad who did a runner. ‘Why flamingos?’ I almost continued but then I realised, slap on my thigh, I should keep my mouth shut. ‘Stopped yourself short’ my wife Christine would have said and no bad thing. I have a big mouth sometimes, I admit it, but sometimes what comes out of my mouth isn’t big, it’s petty. I blame the wiring – I’m a left-handed geek with a penchant for spatial relations and a neurotic eye for detail. Imperfection irks me. ‘You didn’t have to point it out’ Christine often says. She’s my PR face saving agent, saves me from digging myself in deep by digging me in the ribs at social occasions. Phoenicopterus is the genus for anyone interested. And my nephew was. He had the same kind of forensic intensity as my father and that’s putting a hell of a genetic load on his eight year old shoulders. My father was an obsessive collector of facts and artefacts, Guinness Books of Records, stamps and Spielburg film memorabilia. By the time I was born he had done a conversion and moved all his stuff up there. I knew him throughout my childhood as the Man in the Attic. He spent his evenings cataloguing, cross referencing, archiving, noting the gaps in his collections and when, in recent years Barry introduced him to Ebay, we never saw him. When he died we thought it was of disgruntlement. He had lost a table quiz that night. My mother told us afterwards that they discovered a twisted gut. She didn’t seemed surprised. She asked me to help her apply for that telly programme where they come to your house and help you sell your collectibles for cash. Her application was accepted and she played the soulful widow on the BBC. She cleared him out that way. Gary and I figure out how to get the flamingos to stand. This origami thing goes way back. One time Barry and I made paper boats and sailed them in a race on the long ponds of a country house that had opened its doors to the public. My mother, conservatively diligent had convinced my father to bring us for the open space and the fresh air. Barry’s boat tied itself up in pond weed and sank slowly, sodden while mine chugged on but then he produced another that stayed intact and sailed absolutely true and – with a little help from a stick – crossed the finish line first. He won a packet of crisps which in those days was worth the bother. There were large goldfish in the long ponds and Barry was thrilled with them. So much bigger than the ordinary, he conjured up possiblilities of ecto-algae-plasm that had accelerated their growth. Later a heron landed in the water, enthralled the crowd. But when he plucked a goldfish from the water and soared, Barry roared. He cried all the way home. We thought it was still because of the fish but I found out later that he’d lost his crisps. Fish, crisps, its easy to confuse in the middle of a tantrum. And he had them. He was much older than me but I overhead somebody say once that when I arrived it took the shine off him and made him cantankerous. In the nights his nightmares displayed heron flamingo confusion. Or perhaps they didn’t, he developed a love of flamingos that his son seemed to have inherited. More genetic load bearing. Speaking of load bearing, when I grew up I became an architect, Barry became a magician. We were both illusionists. He created objects where they weren’t there before, I created space and light. My builders sawed through partition timbers. He sawed a woman in half. Gary wanted to be sawn in half but Barry said there wasn’t enough of him. So Barry and Gary’s mother Pauline left him intact with me when they ditched him for the high life. Pauline became Barry’s assistant. Their love was so intense and exclusive that she would be torn in half by him if that was what he wanted. She was no Debbie McGee. She was lumbering, gothic, her eyes disappeared into folds of flesh. He transformed her: with his magic wand, with love, with a massive loan, gastric band and cosmetic surgery. It was remarkable really. They also removed Gary like an appendage, said he’d be better with us. We got a postcard from the Flamingo Hotel in Las Vegas. Barry had hit the big time with his magic show. My elevations weren’t comparable. In recessionary times work was thin on the ground. I undercut the competition for kitchen extensions and planning applications. In the postcard Barry and Pauline said that they spent their day floating on the lilos in the hotel pool. Looking at young Gary I wished they would sink like Barry’s paper boat. This time Christine allowed me the gripe- out of earshot of Gary – and even added a few choice words of her own. When it came to children Christine was a Rottweiler of an advocate, despite the gentleness of those green eyes, her soft bosomy look. I don’t know if I ever told you this but when Barry was young my father accidently killed his goldfish and lied about it. My mother said Barry was never the same after. Gary and I get the flamingos to stand. I have to say they look terrific. Gary’s happy, he grins at me, his proper father figure. I turn the page and find instructions for origami goldfish. If Barry had been here we could have all made them together. 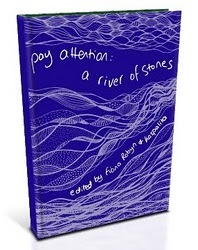 I’ve just found out through Tania Hershman’s blog that Greg McQueen who organised 100 Stories for Haiti, is organising a similar venture to help flood victims in Pakistan. He is looking for contributions of fiction of 500 words or less for his Stories for Pakistan project. For full details of the project click on Tania’s link above. It’s such a worthwhile cause. 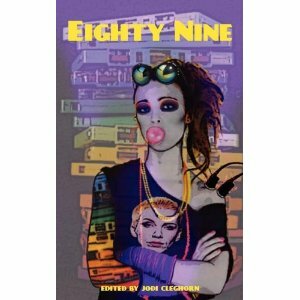 I’ve made a submission and they are looking for up to 50 stories so if you have something suitable (no violence, death or destruction) do submit. I was recently asked by Marcella O’ Connor one of the fine writers in the Year Zero collective to submit a piece of flash to which she would add music and interpret the script in a video piece. It’s fascinating how such a treatment adds a layer of meaning to the piece and enhances it, bringing it alive. Thanks to Marcella for this very creative endeavour and asking me to be involved.